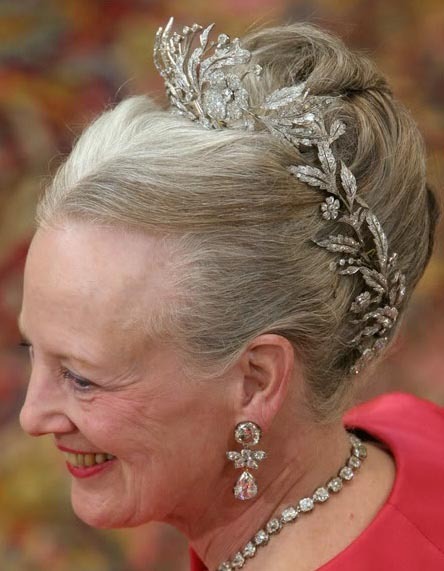 Creation: This tiara can be worn on a frame or split up into three parts and worn in different ways. 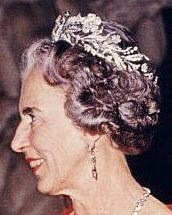 Did the tiara originally belong to Grand Duchess Anastasia of Mecklenburg-Schwerin, King Frederik IX's maternal grandmother? 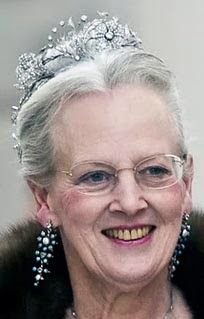 The tiara belong to the Danish Queen Margrethe II - she inherited from her mother Queen Ingrid. 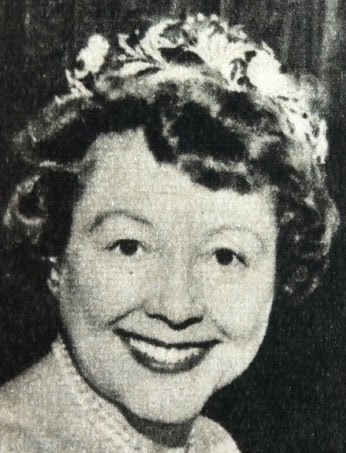 Her father, King Frederik IX, purchased it from the Danish-American tenor Lauritz Melchior in 1963. The provenance of the tiara is still a bit mysterious, but it's said to date from around 1850 and was owned by King Frederik's maternal grandmother, Grand Duchess Anastasia Mikhailovna of Russia.